Wakefield and the surrounding areas are a fantastic place for bringing up children and there is plenty going on children. Below is a list of all the local playgroups and drop in clinics throughout the week and also details of all the children’s activities classes available across our area. Please contact the organisers directly if you would like to find out further information or to confirm class times or costs. If you know of any other classes or groups which are not already listed, then please contact us here. Basic listings are free. ’Featured’ listings are £10 per month. 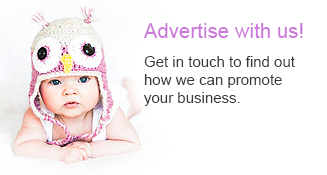 For our full advertising rates then please click here. Aquastar swimming school is a local family run business, we are an ASA swim school member. We provide a calm and relaxed environment where your child can learn to swim or improve their technique. All our swimming instructors are qualified to ASA level 2 standard with over 100 years combined teaching experience. Attending a class at our Ballerina School, whether Mummy & Me or Nursery Dance, you are guaranteed a magical time! Twirl like a Princess, fly like a Fairy, march like a Soldier and much, much more….through our unique programmes, together you’ll enjoy the health, physical and social benefits of the basic fundamentals of ballet and dance in a nurturing, safe, positive environment. Our service aims to provide families with the knowledge & skills to carry their child/ren safely and confidently. We can help with advice on using your own sling/carrier and we also have a vast stock of carriers available to hire for a small monthly fee. In Wakefield, we are really lucky to have the support of F.A.B. & all their infant feeding peer supporters! The below information lists all of the locations that infant feeding peer supporters are available to offer support and information to help with your breastfeeding. Please note some of these sessions are term time only and occasionally we do have to change times and venues so we recommend that you speak to FAB to check dates and timings before setting out to avoid any disappointment. A fun activity in the museum that everyone can join in with! Whether handling museums objects or taking part in a fun craft activity, there’s something to do every Saturday at Castleford Museum. What will it be this week? Whether handling museums objects or taking part in a fun craft activity, there’s something to do every Saturday at Wakefield Museum. You and your toddlers have the full use of the park without older kids so they have more space and can play as they learn, building confidence at their own pace. There are other toddlers around too so it’s good to mix. Ossett Arts, a creative hub based in Ossett town. Every Saturday we hold our Kids Art classes @ 10am to 11.30am and 11.30am to 1pm. £6 per session, materials included, new project each week, from painting to edible mosaic. Ask about our Arty Parties! At Puddle Ducks, our highly trained and qualified teachers are experts at identifying children’s levels of ability and adapting activities to the individual, nurturing confidence and encouraging natural ability. Our lessons are taught in specially selected pools with limited class sizes. A strong emphasis is placed on best practice to create a fun, energetic and safe environment that will allow your child to experience rugby skills such as running with ball, finding space, catching, kicking, scoring a try as well as working in a team and taking turns. Fun with foam balls that helps improve your child’s core skills including agility and balance. Great way to build your child’s confidence and make new friends. The programme teaches and develops all the basic football skills such as dribbling, passing, shooting and heading. The sessions are also beneficial for children’s fitness, balance and co-ordination and provide an excellent opportunity for children to meet other kids and develop their social skills such as teamwork, sharing and communication. At Sun Lane Leisure, we have several classes and sessions for babies and early years throughout the week. All these are subject to availability. Parents required to be in the water with the children. For children from the age of 3 months. Our small classes, maximum 5 in a class, makes sure that our instructors are able to give each child the attention during the lesson they need to progress as quickly as possible. 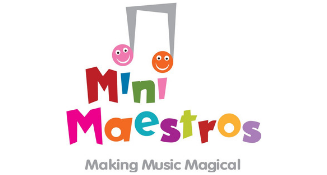 Group lessons are available to all children between the ages 4yrs+. We accommodate swimming lessons to children of all abilities. We have a maximum group size of 6 children per teacher. This allows for maximum engagement, whilst encouraging children to make new friends and work as a team. Tots Coaching’s Tiny Tots sessions have been designed for Walkers to 3 year olds and aims to help young children develop their fundamental movement skills through structured games and activities and through fun and interactive play. The 30 minute parent participated session includes passing, catching, try scoring, cone kicking, and games in a fun positive learning environment.